For decades, Baelz has been of the opinion that pumps should be used only where technically required. 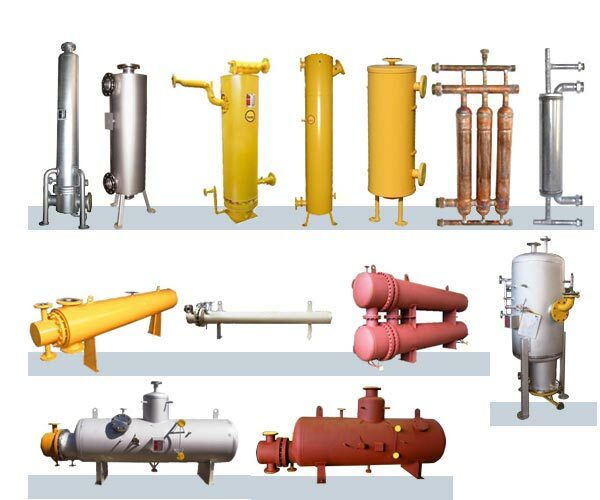 Baelz offers heat exchangers for heat exchanging media, such as steam, condensate, hot and warm water. As a manufacturer we are also able to offer special solutions. A wide range of conventional devices to a world-wide unique modular solution for steam is available for all types of devices in HVAC, distant heating and industry. Steam generating units, containers and coolers round off the programme. baelz 105-S The heat exchanger with replaceable upright tube bank. baelz 106 The robust apparatus suitable for all applications. Usually a welded tube bank, also available with replaceable tube bank; almost indestructible; suitable for almost all applications and outputs. baelz 107–110 The apparatus which on account of its large water volume on the water side can be controlled very well also in the partial load region. baelz 111 The universal apparatus has not been fitted with a replaceable tube bank, but has access permanently to the tube plates at the top and bottom; as baelz 112 variant, also suitable for industrial water treatment (parts touching the medium are coated, electroplated or made of VA completely). baelz 147 Made of copper completely; on account of its very small dimensions suitable for replacement for small and medium output. Small dimensions, low price. baelz 150 Like baelz 147, however made of VA completely, thus also suitable for industrial water treatment. This is high-performance engineering in control valve construction: Electrically and pneumatically operated control valves for water, steam, thermal oil and other media - in DN 15 to DN 300. 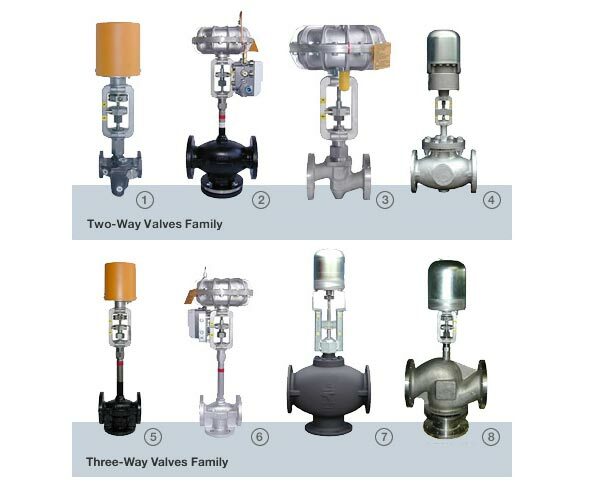 In many respects, Baelz control valves are superior in design because the experience of decades of Baelz as a designer of thermodynamic systems has been included. For this reason, Baelz can competently advise its customers in the selection and setup of valve housing and actuator for the respective application. The principle of the jet pump is based on Bernoulli's equation set up by the Swiss mathematician and physicist Daniel Bernoulli (1700 - 1782) as well as on the Venturi effect discovered by the Italian physicist Giovanni Battista Venturi (1746 - 1822). 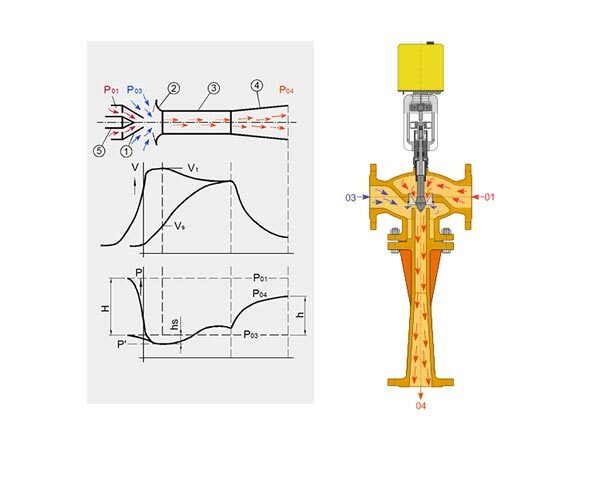 By means of conventional lift force, the flow cross-section in the jet pump is changed by a steam nozzle. If the cross-section is reduced, for example, this action results in an increase of the flow speed, thus producing a suction effect which is caused by the fact that the static pressure of the flowing medium (P01) is smaller than the pressure of the adjacent medium (P03). Baelz offers a wide range of well-tried electric and pneumatic actuators for control systems; decades of experience are included in the constructions. High operational safety and reliability is achieved. With their intelligent control and automation, Baelz controllers are used to ensure a better efficiency in energy generation and energy conversion in industry and HVAC systems. 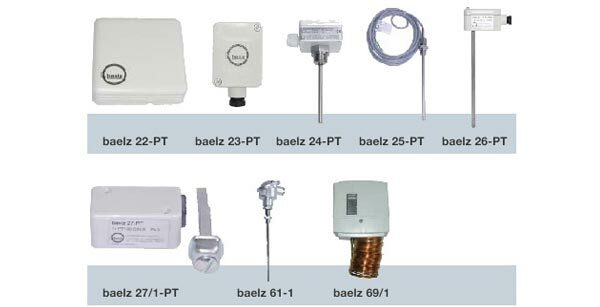 As inventor of the outdoor temperature dependent control, Baelz offers a wide range of well-tried control units: the hardware and software of compact controller, multi-circuit controller and single-compartment controller have been developed by the company and are thus ideally adapted to the requirements of the industry and in HVAC engineering. Measuring devices, such as sensors, pressure controllers or safety temperature limiters are the eyes and ears of a control system. 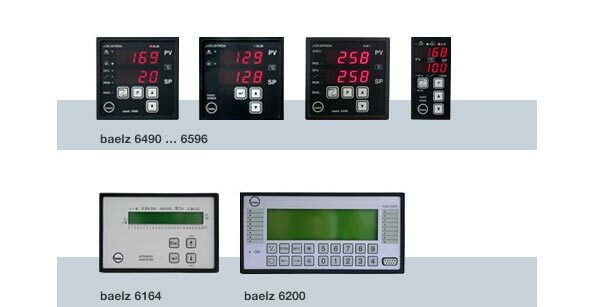 Baelz offers a wide range of measuring devices; advises customers in the choice and integration of the corresponding devices, and as a unique specialist company ensures the correct link to all measuring and controlling equipment. The Baelz control system with the universal software pack WinBAS is well known in the market for its big flexibility and good adaptability. WinBAS is a modular automation system used for visualisation, monitoring, data acquisition, control, simulation and complete process control engineering. Other options are provided by interconnecting HVAC systems through the Intranet (Ethernet TCP/IP, by connection several bus systems (EIB, BACNet, et cetera) to the HVAC systems as well as by alarm signalling and remote control via the Internet. Extensive automation projects in industry and HVAC engineering can be carried out fast and easily. Adaptation is possible easily. The customer retains the authority over his plant.